Ashley grew up in the small tourist town of Gananoque, Ontario on the banks of the St. Lawrence River. Real estate was somewhat of a hobby for her family as they were always on the lookout for their next dream home and many weekends were spent going to open houses. Her love of homes grew as she did, and soon she was off to College in Ottawa where she graduated from the Architecture program at Algonquin College. Soon after graduation Ashley knew a career in Real Estate was the perfect fit, combining her love of homes and her ease with people. In 2005 Ashley began her Real Estate career with "The McCann Team" at Royal LePage Ottawa. In search of a better family life, better weather, and also just for the sake of adventure, she moved to Vancouver Island with her husband, young daughter and big energetic rescue dog "Fred". Ashley's knowledge of house construction provides her with the insight to see beyond the mere cosmetics of a building, to see the structural details beneath. She has a great ability to connect with people from all walks of life with understanding and enthusiasm. She treats her clients as friends and has established many close long term relationships along the way. A dedicated dog-lover, she has served on the board of directors for a dog rescue group. In the little spare time she does have, Ashley and her family can be found enjoying Vancouver Islands great outdoors via land or sea. Ashley is thrilled to be living her dream life and working with such an amazing real estate team. 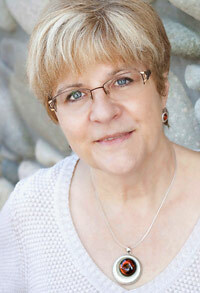 Helping buyers and sellers in the Oceanside area is a real pleasure for Barbara Cooke. With considerable experience running her own successful small business, extensive real estate training, and a deep familiarity with the military transfer/posting process, her dedication to service and attention to detail will be invaluable in meeting and exceeding all of your real estate needs. Born in the Maritimes, Barbara grew up in Nova Scotia and New Brunswick before moving to British Columbia as a young adult, spending all but three years on Vancouver Island. Barbara and her husband lived in the Victoria area for more than 20 years, running her own in-home daycare for infants and children while raising their two now-grown daughters. In 2012, they decided to "retire" and make the Oceanside area their home, moving to beautiful Nanoose Bay. "I'm used to helping families and also running a small business, but after 27 years I wanted to try something new. Growing up in and marrying into a military family, I am very familiar with the Military Transfer process and house hunting trip procedure. It was this experience that piqued my interest in real estate and I got my license in 2015." Barbara is very excited to be part of Team Susan Forrest. "It's a real honor and a privilege, and I guarantee my full attention to your needs and will respond promptly to your questions, phone calls and emails." She loves living in Oceanside and experiencing all that the area offers. In her spare time Barbara enjoys fishing, fitness training, reading, cooking & baking, gardening, her Golden Labrador Retriever "Gracie", and sailing the picturesque local waters in their sailboat "Executive Curl." Barbara considers herself lucky to call this beautiful place home and looks forward to helping you find the perfect home, sell your current home, or find your ideal recreational property. 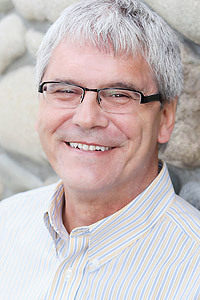 After completing College and enjoying his adolescent years in Parksville-Qualicum Beach, Richard ventured east to new horizons. With a passion for discovering all that is different, and a keen interest in learning languages, he embarked on a journey to Montreal. There, he completed his University degree in Business Administration. What turned out to be a relatively quick 3 year educational program turned into a 30 year residence! 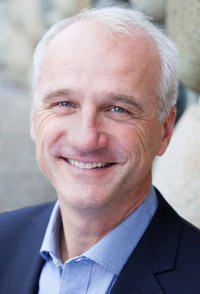 Richard's passion for people and his outgoing nature directed him to the Hotel Industry where he applied his skills in Sales and Customer Service with both Four Seasons and Fairmont Hotels. With a desire to be challenged and to 'change things up', he ventured into the Bio-Pharmaceutical Vaccines Industry with Merck, Sanofi Pasteur, and Pfizer. He conducted positions of increasing responsibility in sales, business development and team leadership over the past 18 years. During this time, he met and married his wife and had a family. This partnership has influenced his appreciation of art, great foods and all that is Nature. They occupy a busy home with Ella, Spencer, Ziggy and Lilly - two English Setters and two cats. Richard loves to connect with people and brings forward the responsiveness, persistence and discipline needed to assist clients in one of life's most important transactions - that of selling or buying a new home. He has built a reputation as a connector who forges and maintains partnerships founded on integrity; combining a customer-centric approach with high ethical standards and a commitment to delivering the best experience to his clients. Richard is thrilled to be back in Oceanside working with his sister, Susan, and her team and through his solid experience has made a positive impact on all our clients. Glenda is originally from the lower mainland where she had worked for many years in accounting for the natural resources industry. She moved to the Island in 1981 and settled in French Creek with her husband and their two young daughters. As empty nesters they moved to Coombs for more space for her husband's hobbies. She is Susan's aunt and has followed Susan in her hospitality career since 1987, so it was only natural for her to join in real estate as Susan's assistant from the beginning. Glenda enjoys the administrative and paperwork side of this business, as well as meeting all of the wonderful people we deal with on a daily basis. She says, "Since Susan talked me into getting my real estate license, I am happy to be able to help the other realtors on our team as needed and also work with prospective buyers." In her spare time she enjoys spending time with her family, 4 grandchildren, gardening, biking, going for walks, Qigong and especially vacationing at their cabin on the lake. Her yellow lab (Sandi) is an often visitor at the office and her two cats Mo & Morris are always waiting at the door to greet her when she gets home. Sandy grew up in Calgary where she earned a Bachelor of Arts Degree in Economics and spent 7 years working in the Oil and Gas Industry. She then travelled the world with her husband and relocated to Bermuda for nine years where she worked trading currencies in the Banking Industry, worked at a hedge fund, and started a family. Having always loved the Island, they were happy to bring the family of nature lovers to our special Oceanside Community. Sandy has experience in the industry, having been a licensed realtor for 2.5 years. "I enjoy helping the team members and their clients. I thrive in a busy work environment and love the administrative side of the business. In my spare time I play beach volleyball and teach yoga (just to the team, though)." With an efficient manner and wonderfully energetic spirit, Kathleen Cooke brings a wide and varied skill set to Team Susan Forrest. 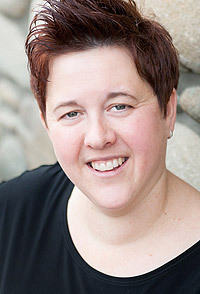 As a registered massage therapist, she worked at the Banff Springs Spa and various Spas on Salt Spring Island until an injury prevented her from continuing. After spending a year attending Halifax's Dalhousie University, Kathleen decided that a warmer climate was more to her liking and relocated to Vancouver Island, attending the Royal Conservatory of Music in Victoria. In her spare time Kathleen can be found working out at the gym and indulging in scuba diving as a PADI certified diver. "The one thing that I love most about living in Oceanside is being so close to the water. If I can't physically be at the beach, at least I can be near the ocean at all times, even when I'm working." Bianca hails from the Allgäu region of Bavaria in Southern Germany. She spent her youth in this popular European year-round holiday destination which is well known for its dramatic landscape, unique regional cuisine and natural beauty. Many know it as home to the infamous “Neuschwanstein Castle” which was made popular through Disney programming and films. In the mid-nineties, Bianca ventured to Long Island, New York to work as an AuPair and to perfect her English. After a year of scurrying after children and mastering the language of Shakespeare, she returned to school in Germany to complete an Office Assistant Management program. Eager to speak English on a regular basis and to see new places, Bianca travelled through Western Canada for 5 months where she was intrigued by the difference and beauty of the landscape compared to her home country. Her interest in imagery and creativity lead her to a Photography program in Victoria. She temporarily anchored there, completing school for a couple of years before moving permanently to Nanoose Bay. Bianca joined Susan in both life and as a team member in 2004. 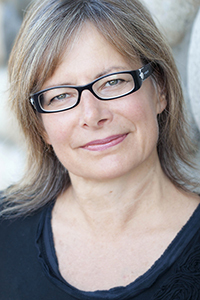 She currently occupies the role of Lead Photographer & Imaging Guru for our property listings. Sharpness of eye and quality of production exemplifies Bianca’s work. She is always available to help and keen on getting things that need to be completed, done. Bianca loves to spend her free time with their 2 ‘Girls’ – 2 Golden Retrievers named Riesling & Zinfandel. Karin was born and raised in Calgary. In 1996, tired of the cold and snow, she moved to Bermuda with her family and became involved in the start-up of a cellular phone company, managed a personal insurance team, and did some consulting for a travel agency. Eventually she left Bermuda and moved to Kelowna to be closer to family and build a couple of homes. "A few years ago it felt like time for a change once again and the desire for warmer climate with less snow was at the top of my requirements list, and in Canada that means the Parksville area." Karin is a project girl and provides support to the team wherever it's needed. Some days you'll find her working on processes and procedures, and other days you'll find her covering the phones or trying to fix a computer problem. "When I first met Susan, I instantly felt a connection with her. I loved Susan's vision, values and strong sense of care for others, and wanted to be part of the team." In her spare time, Karin can be found treasure hunting, re-purposing furniture, cooking, coaching and doing yoga. Kerry was born in Winnipeg and raised in Calgary. After the turn of the century, he began a life-journey that saw him move first to Vancouver to live, then Victoria a few years later, and eventually to Nanoose Bay after falling in love with Oceanside while camping in the area. "Susan was, at first, my realtor but quickly became a great friend. In 2008 a position opened up on Team Susan Forrest and she asked me to join. I have never looked back." His many years of experience as a freelance graphic artist and customer service specialist prepared him well for the position of media guru. "Susan values new ideas and constantly inspires me to keep pushing the boundaries and find new ways of promoting our listings and our team. I love the dynamic creative environment and my team-mates are first class." In his leisure time Kerry enjoys life's simple pleasures; sunny afternoons, good books, camping and hiking, great meals, and pursuing various artistic interests.